The next London Bateson Salon meeting will be on Tuesday 5 February 2013 at the British Museum. Join Nora Bateson and Mark McKergow for a day exploring Play, Learning and Change. Full details and booking at http://norabateson.eventbrite.com/. We have an exciting new venture starting later this year. sfwork, in partnership with leading London-based cross-cultural specialists Coghill Beery, will be offering a new workshop – Solutions Focus for Cultural Diversity. The event is promoted by the Society for Organisational Learning Hungary, and we hope to attract participants from across Europe to Budapest for the workshop on 5-6 May 2011. Research shows that while poorly-managed multicultural teams fare worse than average, similar but well-managed teams do much better. This confirms the idea that the diversity present in a multi-cultural team can be used to advantage, as long as the manager has the tools to do so. SF offers a wonderful set of practical tools to achieve this end. We will also be looking at the impact of virtual working with multi-cultural teams – a huge and growing issue for many businesses. 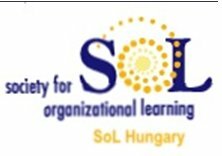 Full details are on the SoL Hungary website at http://solhungary.hu/2011/02/28/solutions-focus-for-cultural-diversity/ , or use the short link http://tinyurl.com/sfmulti . There you can find details, a pdf and a booking form. Festive greetings to all our customers, contacts and friends! As 2010 draws to a close, our thanks go to the SF community all over the world for making us so welcome this year. We will have even more exciting news in January, so watch out.You’ll have a new and exciting opportunity to with closely with us in 2011 with our online SF Business Professional. Read on for news of the Early Bird Discount. Find processes and tools to use with the most challenging groups. There is an Early Bird discount of 20% for bookings before 7 February 2011, so you can save $$$. Go now for information and booking details to http://www4.uwm.edu/sce/course.cfm?id=22222. Mark will be sharing material from a variety of sources as part of the course, including his own latest papers and work. Whether you are in Tucson or Timbuctoo, now YOU can work directly with him and boost your skills and knowledge in 2011. We are delighted to be partnering with UWM. They have delivered an online SF therapy course for some years, which was originally run by Steve de Shazer and Insoo Kim Berg themselves. For more information and to book, contact Mary Pick at mpick@uwm.edu or +1 414-227-3353. In closing, we wish you a peaceful and happy holiday season. United KingdomReadthe VerticalResponse marketing policy. A good crowd gathered at the central Leeds office of Kirk Newsholme for a day’s session of learning, sharing and networking. Our host, Carey Glass, laid on a splendid salmon lunch, and our meeting place was bright and spacious. Several people sent their apologies, some unable to attend due to last minute hiccups. The day’s main topic was Complexity. Carey Glass presented a piece on Complexity Theory and the Health Service. We looked at Olson’s and Eoyang’s basic principles around the use of complexity in organisations and Carey presented her experiences in light of these to work through. One of the difficulties for the health service is that it needs to be a complex adaptive system that nevertheless needs to work within the traditional demands of a bureaucracy. We also had a quick look at the implications of GP commissioning in light of these approaches. The attendees then divided into two groups and offered valuable reflections on working within these competing demands. Why do I like working here (starting with Sparkling Moments or something), what’s important about what we are doing, why are you pleased to be part of this team? What are we proud of achieving since the new manager arrived? What would be good enough? Given the Future Perfect – suppose that happened, what would you be doing in response to that? (Ask this as follow up question) Then build on what of that you are doing already. Accountability – what will happen next, feedback to MMcK in some form, not just a one-off exercise. Has to keep happening outside the room. Use the HR people as facilitators in three groups of 5? We had an excellent session at the SFCT CPD meeting on Monday 8th November. Despite the long journey and dreadful weather, I came away energised and motivated to keep going with the marketing stuff. Everyone was very generous in sharing know-how and it helps to feel less isolated. The format works well for me where there is a key presenter [and Carey’s issue was a really useful example to work on] and an opportunity for everyone to bring an issue they want to discuss or have help with. I wanted help in knowing how to go about writing a case study and how to get onto the conference circuit. Below are the ideas the group came up with. Our next CPD day is scheduled for Monday 21 March 2011 in London. We are also looking at ideas and suggestions for next year’s UK programme, which may well include telecalls at different times of day. Join now – people joining before 31 December will receive the latest Nov 2011 InterAction journal as well as two journals next year, e-access to all the back issues, three CPD days and other activities – great value for €100. Join at http://www.asfct.org/join.php. This is our first newsletter in a few months. Sorry about the gap in communication – partly due to changing plans for future events, partly because we’ve been increasingly busy with in-house client work. Here’s the latest. SF Professional – online and other options We have been thinking very hard about how to continue our flagship SF Professional course, leading to SFCT full membership. The issue is balancing the undoubted success of multi-module face to face learning with the inconvenience for those increasing numbers from outside the UK who wish to work with Mark and the team.Instead, we are working with the University of Wisconsin Milwaukee (UWM) to deliver an online version of the course starting in March 2011. The course will run over 16 weeks and contain all material covered in the face to face version, including our six Solutions Tools, working in indivudal, group and organisational settings, coaching practice and a project. Mark himself will be the course tutor. UWM have delivered an online SF therapy course for some years, which was originally run by Steve de Shazer and Insoo Kim Berg themselves. There will be more news of this exciting development nearer the start in March 2011. In the meantime, there is preliminary information here. If you’re very keen to work with us face to face or can’t wait that long, Mark and Jenny are running the first module of SF Professional as part of Il Faro’s SF At Work course in Belgium. The dates are 9-10 December 2010, click here for more details and registration. This course is at a brilliant venue in the Belgian countryside, is in English, and a good and valuable time is assured with Anton and Liselotte doing the hosting. Masterclasses in SF for Learning Skills Network, SIETAR and othersIf you’d like to know more about these areas, and how we can help you tackle your major challenges right now, give us a ring on +44 (0)8453 707145. Forthcoming events in Europe 2010-2011 We have events all over Europe during the coming months. All these events are in English.18-19 November, Vilnius, Lithuania: Introduction to SF workshop with Mark and Jenny, contact Dainius Baltrusaitis <dainius.baltrusaitis@smart.lt). The event also marks the publication of The Solutions Focus in Lithuanian. 9-10 December, Heerlijckyt van Elsmeren, Belgium: Introduction to SF workshop as part of Il Faro’s SF At Work course. 17-19 January 2011, Heerlijckyt van Elsmeren, Belgium: Accelerated Learning and SF for Trainers – a rare run for Mark’s acclaimed course for trainers of all kinds. Details at http://ilfaro.hostbuster.eu/nl/Opleiding/Accelerated_Learing/. 10-11 February 2011, Amsterdam, Netherlands: Solution Tools with Groups and Organisations with Mark and Jenny, part of Louis Cauffman’s SF Management mastercourse. 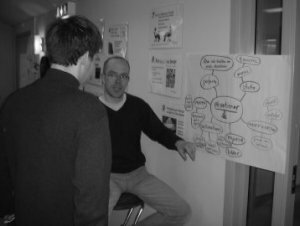 We hope to have a new format newsletter out early in 2011, featuring more of our work with clients and how we use SF to tackle real issues with real customers. Look out for it! PS Check out our good friend Robert MacPhee’s new book and website Manifesting for Non-Gurus – you might win a coaching session with Mark, Jack Canfield or many other personal development legends! PPS Another good friend, John Dyer, is running courses around the UK in early December including Birmingham, Bristol and Brighton about the new UK Equality Act – vital for employers of all sizes. Details at http://www.credibilityltd.co.uk. United KingdomRead the VerticalResponse marketing policy. Negotiation – it’s something most of us approach with some trepidation. After all, there can be a lot of money or an important relationship at stake. Now you can apply the positive power of Solutions Focus to negotiations – confidently building results and relationships at the same time. We have found great benefits in all the everyday conversations of business and management as well as when clinching crucial deals. An event for everyone in the North East of England: sfwork’s Antoinette Oglethorpe will be leading an evening introduction to conflict coaching with her PARTNER model. The event is organised by the Association for Coaching, and is at the Newcastle Marriott Gosforth Park on Wednesday 26 May 2010, 6.30pm start. Click here for more details. We had a great time this week at the third module of the SF Professional course. As always, the 10-strong group formed great bonds and working relationships as they supported each other by coaching, reflecting, sharing ideas and affirming. It always amazes me quite how much energy and strength develops when people use SF processes in a concerted way. Our latest FREE webinar is a one-hour introduction to SF, the SF community and the SF Professional course for coaches, consultants, leaders and managers. Space is limited – only 15 seats available. Mark McKergow himself will lead the session. 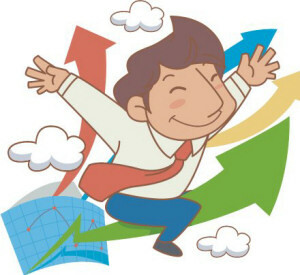 More details of the Webinar are at http://www.sfwork.com/jsp/index.jsp?lnk=4f0. More details on the SF Professional training are at http://www.sfwork.com/jsp/index.jsp?lnk=440. Remember the Early Bird discount for this course runs until 30 March, so make sure you book by then for the best deal. Reserve your Webinar seat now by emailing info@sfwork.com with ‘Webinar’ in the subject line. We will the send you the login details. You will need an internet computer AND a telephone to participate.